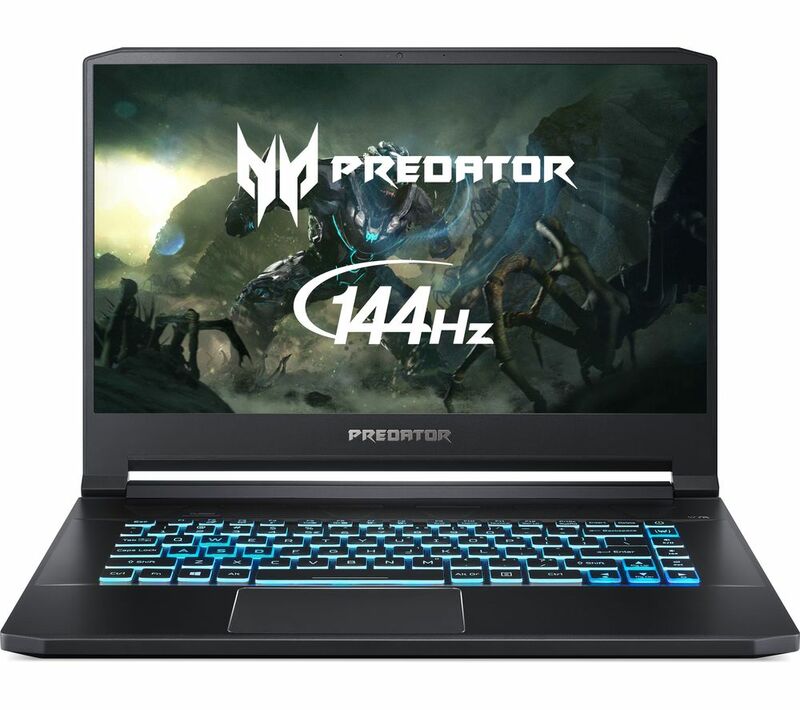 Top features: Run demanding tasks with an Intel Core i5 processor and 8 GB RAM Powered by NVIDIA RTX 2060 graphics for intense gaming sessions Full HD 144 Hz display for super smooth gameplay The Acer Predator Triton 500 15.6" Intel Core i5 RTX 2060 Gaming Laptop is part of our Gaming range, which features the most powerful PCs available today. It has superior graphics and processing performance to suit the most demanding gamer. 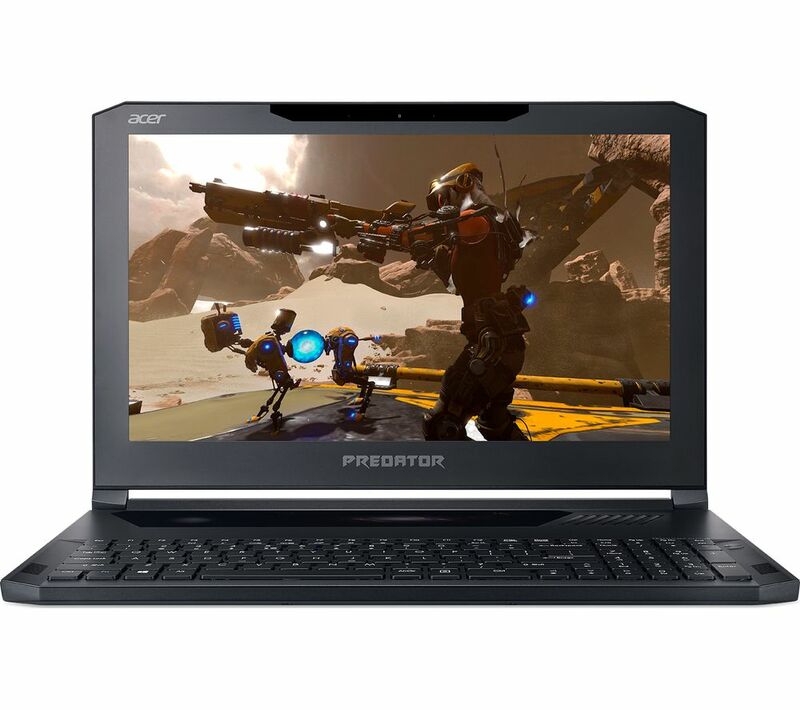 Run demanding tasks Whether you're at battle with your enemies, racing around in a stolen car, or creating an intricate base before you attack, the Acer Predator Triton 500 has the power to keep up. Featuring an Intel Core i5 processor and 8 GB of RAM, you'll be able to run all your day to day programs, as well as your favourite games. Powered by NVIDIA GTX 2060 To match the processor, the Predator has an incredible NVIDIA GeForce RTX graphics card. Capable of running pretty much any game at high frame rates (even on high settings), the 2060 is perfect for the latest AAA titles, as well as classic esports games. You'll also be able to run VR games, so if you've got a VR headset, you can fully immerse yourself in new virtual reality experiences without any stutter or lag. Full HD 144 Hz display When you're playing high speed games, you want to know that your screen is going to keep up without lagging or stuttering. The Triton 500 has a Full HD 144 Hz screen, so even when you're panic building in Fortnite your graphics won't be affected by the fast moving action. Microsoft Office & internet security This laptop doesn't come with a full version of Microsoft Office or Internet Security. But don't worry, you'll find great savings on software with the bundles available on the 'Top Deals' tab on this page. ___________________________________________________________________________ Intel, the Intel logo, Celeron, Intel Atom, Intel Core, Intel. Experience What's Inside, Intel Inside, the Intel Inside logo, Intel Optane, Intel RealSense, Intel Unite, Iris, Pentium, Thunderbolt, the Thunderbolt logo, and Ultrabook are trademarks of Intel Corporation in the U.S. and/or other countries.